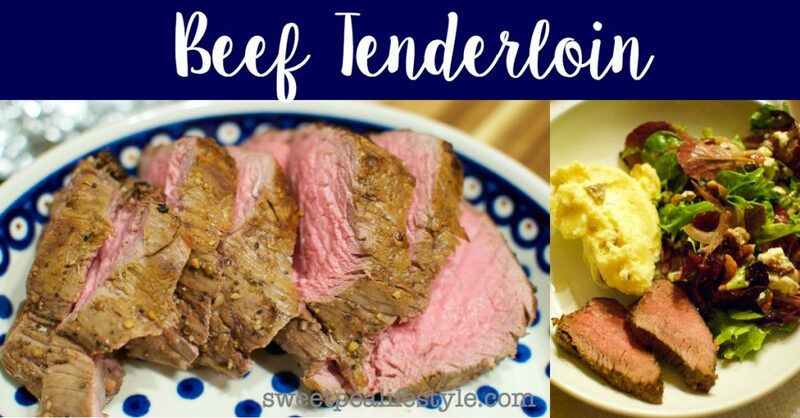 The BEST & Easiest Beef Tenderloin You’ll Ever Eat. 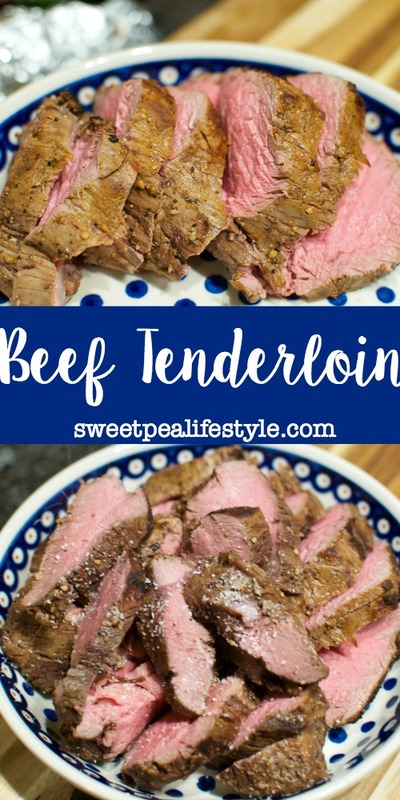 This beef tenderloin recipe is too easy for how decadent and fancy you’ll feel when you serve this to your friends and family! When people ask me “What is your favorite thing to make?” I have two answers. Angry Lasagna and Beef Tenderloin. And, honestly, I haven’t posted this recipe because I’ve liked keeping it “secret.” But, it’s time to let the world know how easy this fancy shmancy meal is. This is where my cooking “prowess” and pride goes right out the window. You will never believe just how stinkin easy this recipe is. Promise me you will try it!? 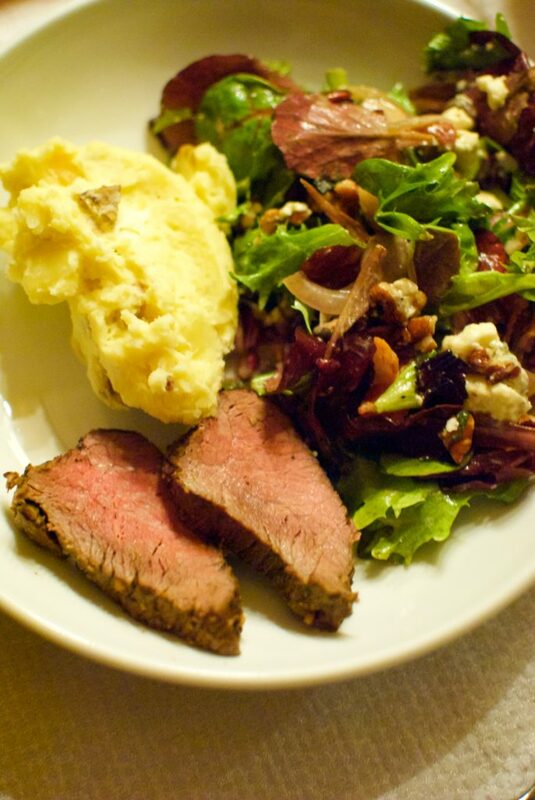 Beef tenderloin is a special meal. It’s the meal for celebrations. Birthdays, anniversaries, Christmas. It’s the meal both my brothers choose for their birthday dinners! And while it’s a fancy meal, it is about the easiest recipe I make. Seriously! Don’t be intimidated! This is not me being “chefy” and saying something is easy, when it has ten gazillion steps. This has all of three steps? Maybe?? 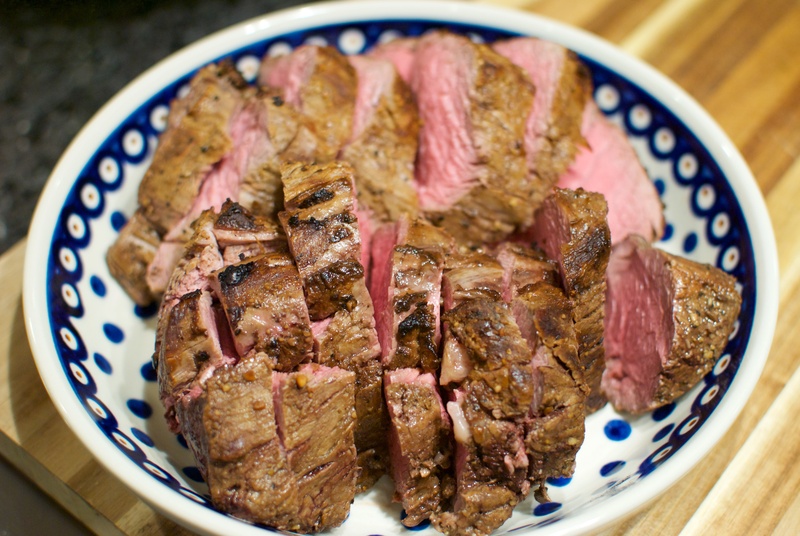 It is hands down the easiest recipe for beef tenderloin. You can stop searching for others — you have found the one and only you’ll ever need! 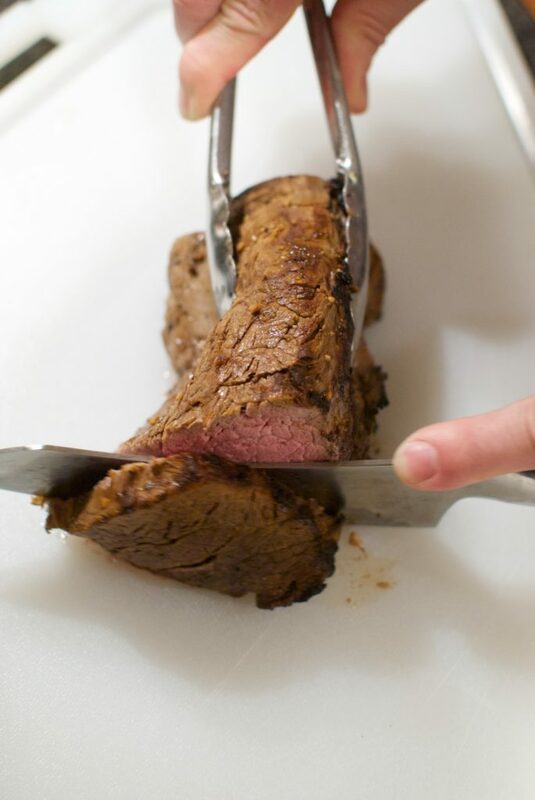 Now, you’ll trim your filet… Watch this video, you can do it! Don’t have your butcher do it, just do it yourself. Once you do it a couple times, it gets real easy. Leave the filet portion whole (Or I slice it in half, so it fits into a 9×13 for broiling), don’t cut it into steaks. The other parts you can freeze and use for other meals. While this meal is expensive, you get a few different meals out of it. So, it’s worth the $$$$$. I make Beef Bourguignon with it, it’s great for simple beef stew, or just PW’s Steak Bites. Starting with a VERY clean oven, move your oven rack up closer to the broiler. 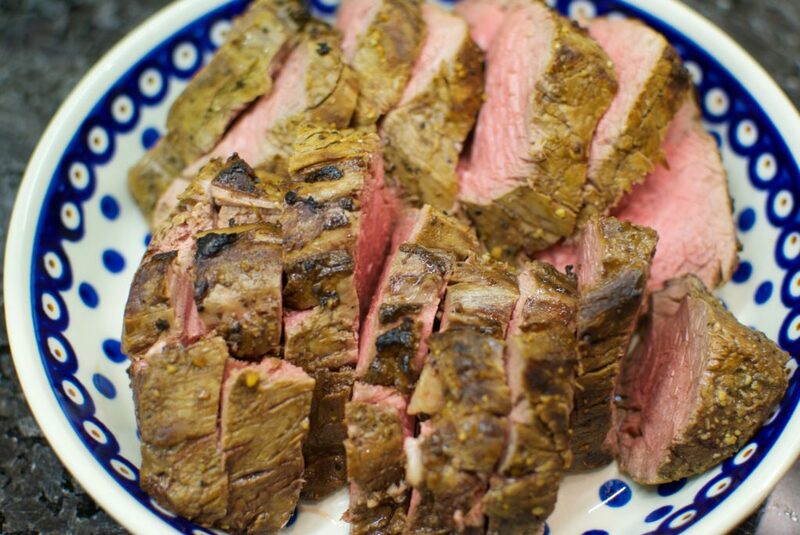 You're going to broil your beef, so you'll need to make sure you allow enough room for it to fit, but close. Make sense?? Turn your broiler on high. 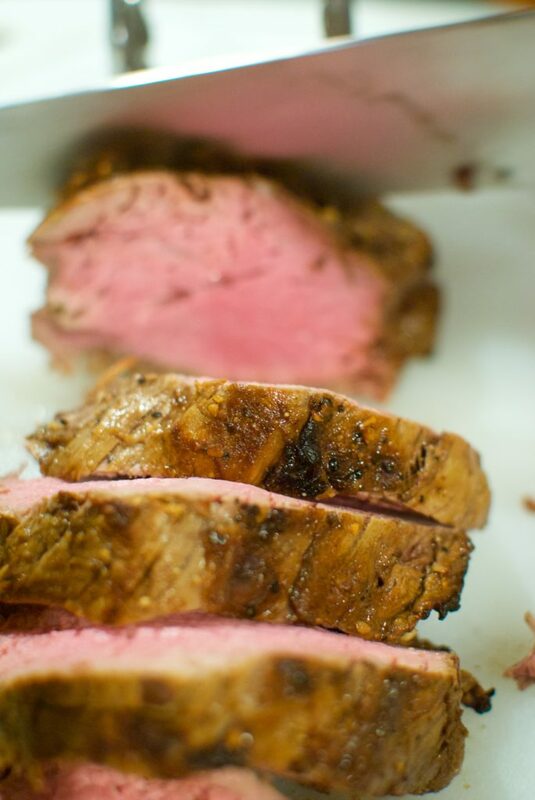 While the oven is heating up, spread the butter all over your trimmed filet. Sprinkle the salt and pepper over it, and massage till coated well. Place your filet in a 9x13 and put directly under the broiler. Set a timer for 12 minutes. After 12 minutes, turn over and broil another 10 minutes. Remove from oven and quickly wrap in aluminum foil. TIGHTLY. Let it sit on the counter for an hour. 15 minutes before serving, place in a 350˚ degree oven and let warm up. Slice on to serving platter. That’s it, folks! Best part??? This recipe gives you an HOUR to make the other dishes! An hour!!!! Set the table. Mix the drink. Pour yourself a drink or two. Clean your bathroom. Slice this baby up, and serve! I usually serve this with either mashed potatoes or baked potatoes and a salad. Super simple. Be sure to save a couple slices for sammies the next day… OUT OF THIS WORLD. Save this graphic to your Pinterest board! Oh, I love beef tenderloin. My family always serves it on Christmas Eve … but I can eat it anytime at all! So glad I found it on the #HomeMattersParty Pinned it for later. I pinned your recipe to try one day soon. It would be perfect during the holidays. Thanks for sharing the recipe at the #HomeMattersParty this week.